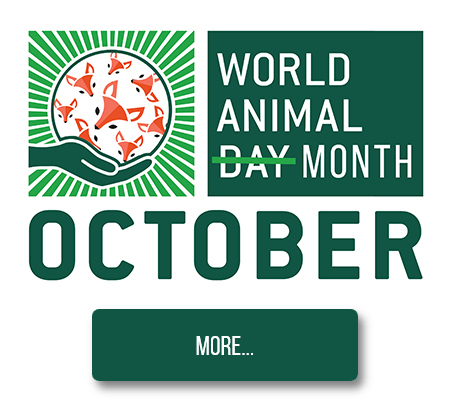 In the 4th of October another World Animal Day was celebrated. It is a chance to promote animal protection once again, reminding the world about the issues animals are suffering from all around the world. It is time to put on the table matters such as animal welfare, abandonment and neglect, abuse, puppy mills, hunting, blood sports, wild animals suffering, slaughter, scientific experiments with animals, local beliefs or traditions that jeopardize the animals’ well being and so many other cruelties that we daily assist globally. Animals do not have a voice, defending themselves from humans as best as they can and quite often suffer the real consequences of trusting a person. Here’s the thing, YOU can make a change. Though laws all around the world are starting to improve and, for many of those, animals are no longer things, but living beings that feel pain, happiness and have feelings, there’s still much to do. If you are here, you are most probably an animal lover, and you know there is an alarming number of cases where savagery and cruel atrocities are being publicly announced and known to everyone. Each one of us can take part of something bigger and help to change the world. It is time for YOU to start doing something about it. No matter what situation you are in, there always plenty of opportunities for you to contribute. Here’s how you can support! 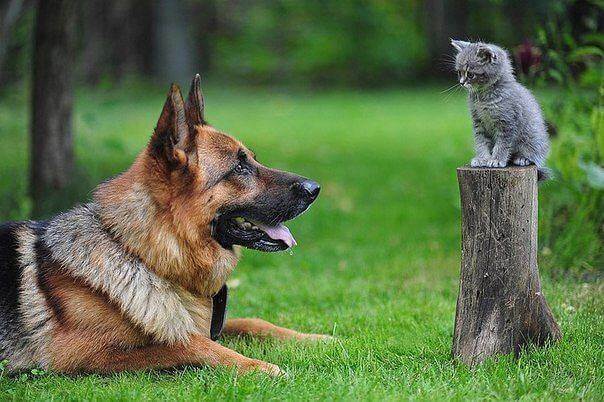 Adopt a cat or a dog from a local shelter (or even an international one. Several shelters around the world allow and promote intercountry adoptions). Rescue a pet from the streets. The percentage of animals in the streets and shelters which are euthanised without ever having a chance is astronomic. Give an opportunity to older or sick pets as they have few chances to get a second chance. Every living being deserves a warm home and being loved. Don’t buy a pet. Most animals are bred in horrible conditions in puppy mills, and it will not stop until people stop buying them. The rate of animals in the shelters is high, and nowadays you will quickly find your favorite breed ready to be adopted from a shelter. Don’t promote puppy mills or shops that sell animals. You will be surprised how easily an abandoned pet will quickly adapt to a home, a warm couch and much love. No matter how old they are, they will be grateful to you for all their lives, and this is something you will see every day when they look at you. Saving a life is not only rewarding, but it is also is a life-changing experience! Volunteer at a shelter. You can help with cleaning, walking and giving affection to all the animals that are waiting for a home. Sponsor a pet. By donating a small monthly fee, you are providing all basic needs to an animal, while having the privilege of taking your sponsored pet for a walk, even a weekend at your place and give that animal all the love he deserves. Donate food and medication. Most shelters have significant health expenses, related to sick animals, neutering and many other situations where animals arrive with very severe injuries from neglect. Become an associate in a local shelter or an ONG. Participate and become active in as many causes you can and spread the word, promoting awareness and becoming their voice. Help with as little as you can; it is always better to do something than nothing at all. By donating 5 € a month to your favourite shelter. Even if you give only 1 € a month to an animal sanctuary, if we all do the same, we will be contributing to an incredible amount of money that has a direct impact on animals’ well-being, allowing them access to medication, food, and hope. If you have one or more pets, support at any way local or international activities to help animals around the world, congratulations! You are doing well and making a difference. Use this day to spoil your pets with a special treat, a walk at the beach or in the woods, or even renewing his favorite toy. The most important thing to keep in mind is that you can celebrate World Animal Day every day of the year, it is really up to you to make this world a better place to all the animals that can’t protect themselves and need you to be their voice. Take action today, tomorrow and always. They will return all their gratitude and appreciation, and you will feel accomplished, happy, fulfilled and at peace with the universe. Sofia Taveira is a freelance writer passionate about animals. She lives in sunny Barcelona with her two adopted dogs.